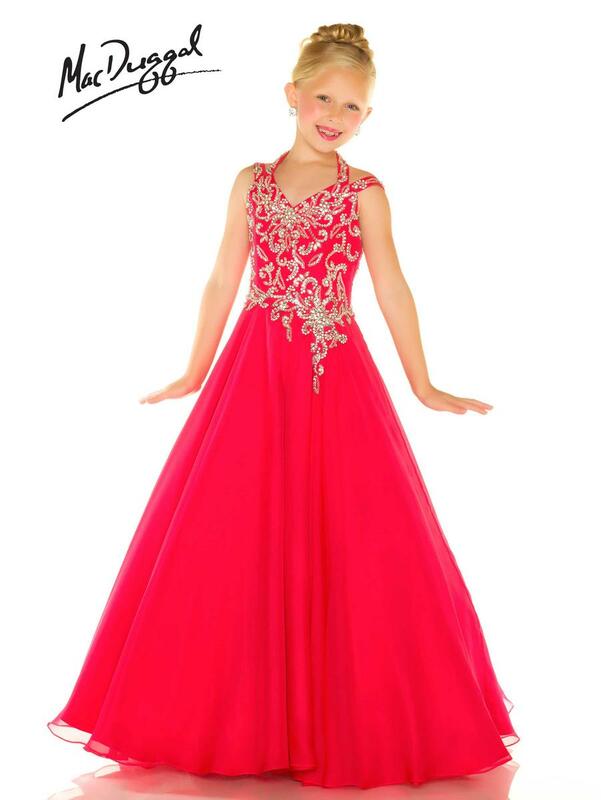 Your little cutie will look and feel like a royal in this unique gown with a split strap neckline. The sweet swirls of beading will light up any stage that your princess graces in this beautiful ball gown. The back keeps things classy So take home the crown in style 48316S.